Set up the store to collect orders without forcing the customer to enter payment information. This could be used for catalog-type sites, event registrations, etc. 1. All Products will need to be created with $0 prices. 2. 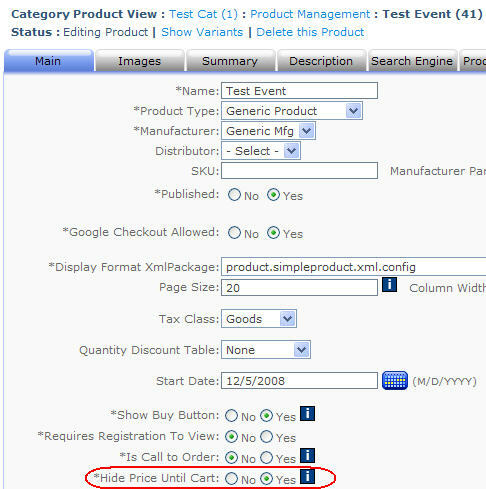 You may wish to set them all to "Hide Price Until Cart" so that product detail pages do not display this price label. 3. Then set the SkipPaymentEntryOnZeroDollarCheckout AppConfig to true.